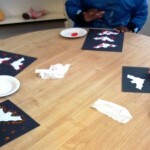 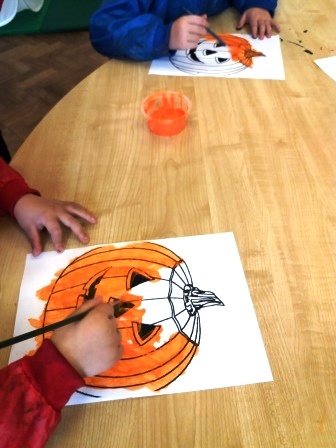 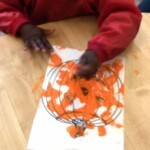 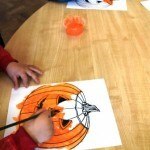 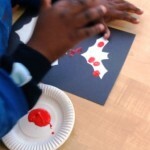 In the Sunshine room this week we have been doing Halloween art. 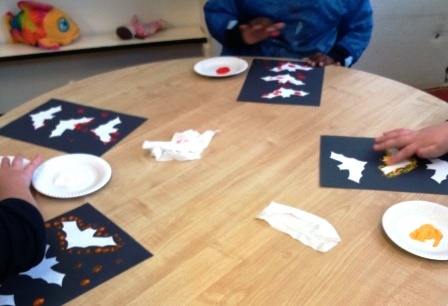 We used our fingerprints to make the outline of bats. 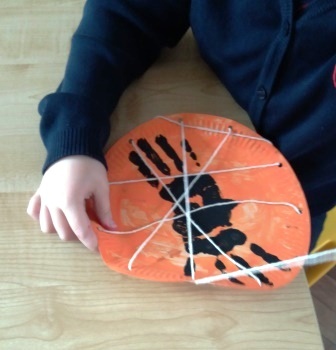 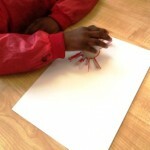 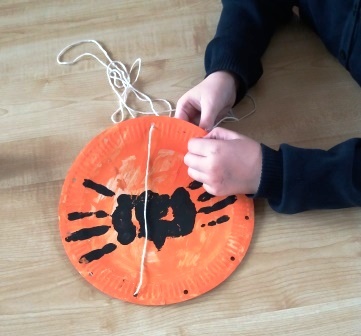 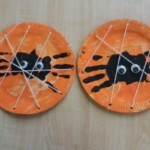 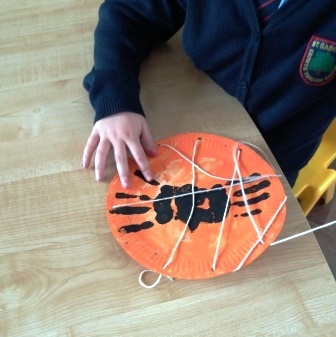 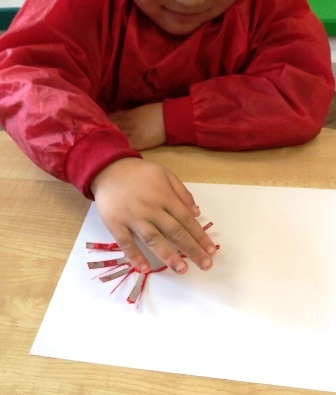 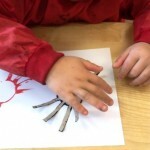 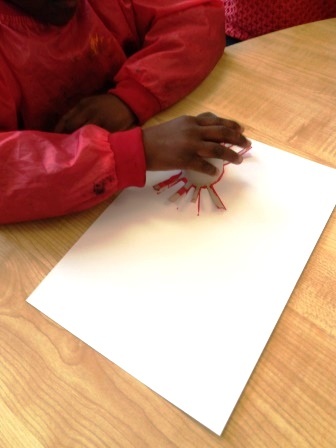 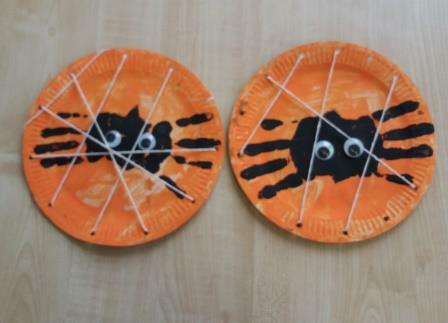 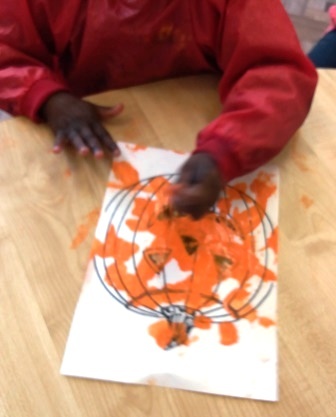 We used our hands to print spiders on paper plates and then threaded twine around to make spider webs. 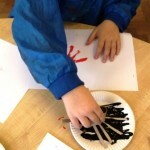 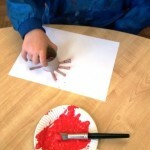 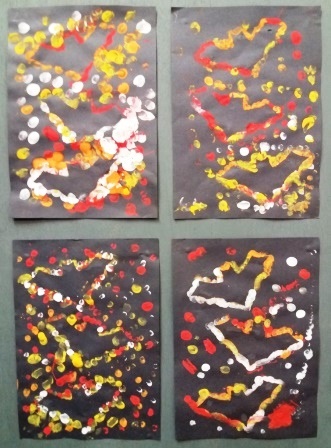 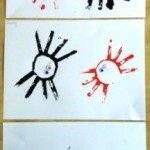 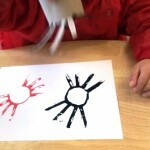 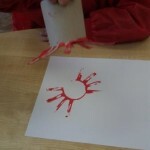 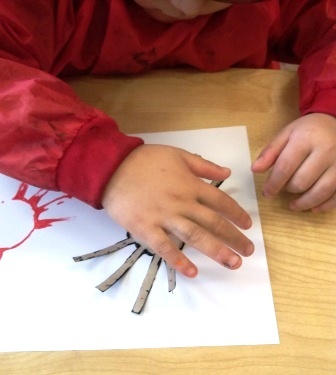 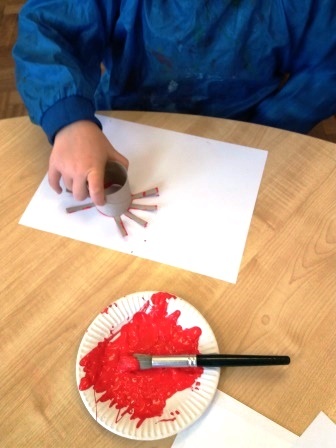 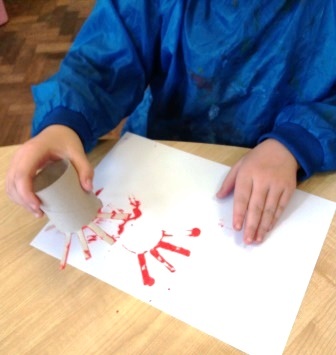 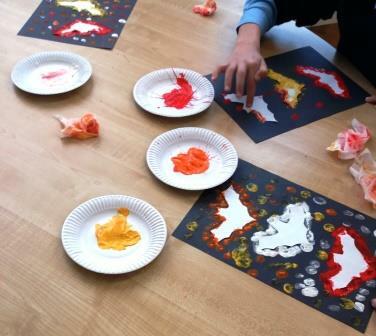 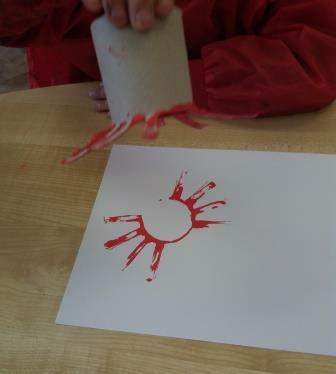 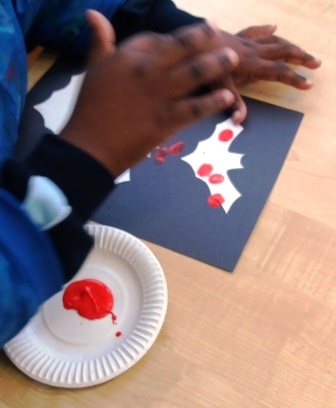 We used toilet rolls cut up and dipped in paint to print more spiders. 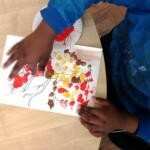 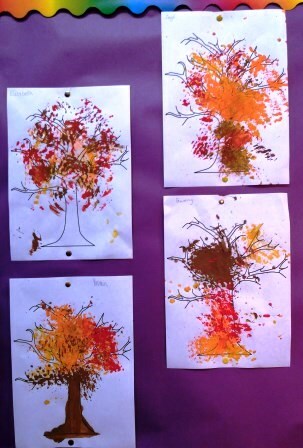 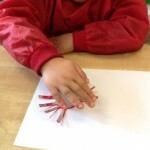 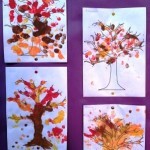 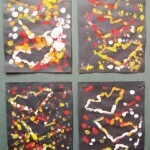 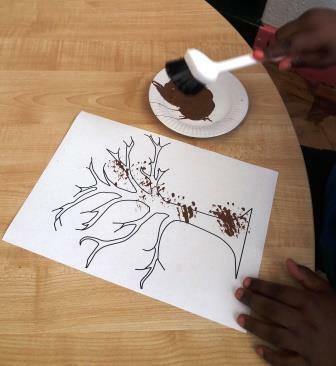 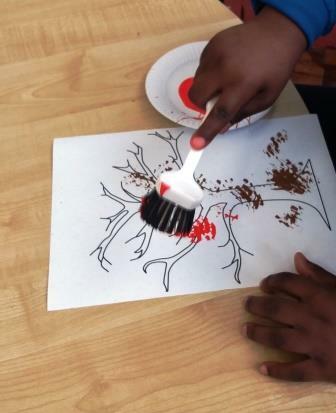 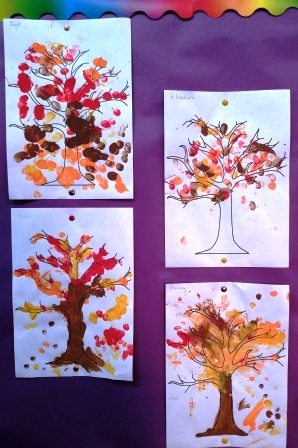 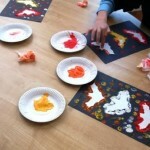 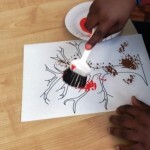 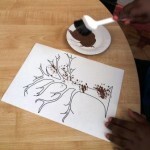 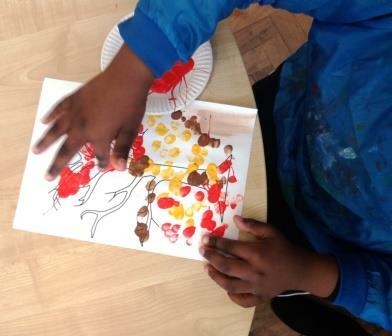 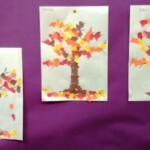 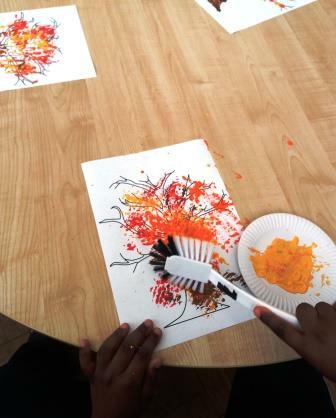 In the Sunshine room we looked at autumn colours and made some autumn trees. 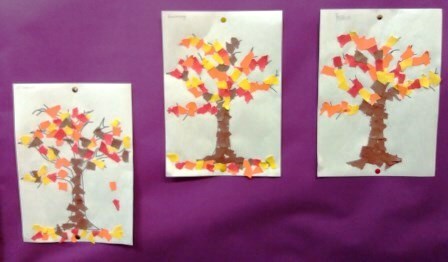 We made the leaves using three different methods. 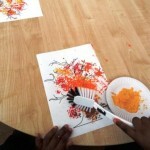 First we used dish brushes dipped in paint. 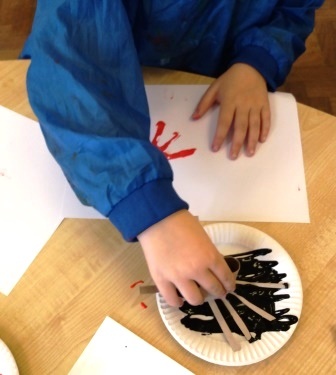 Next we used our own fingerprints. 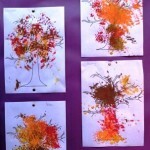 Last of all we tore up yellow, red, orange and brown paper and glued them onto the trees.